The Sarasota County Sheriff's Office just released video of Wallenda performers falling after a high wire accident in 2017. Guinness World Record holder Nik Wallenda and his troupe are known for their high wire acts without a safety net. The Sarasota County Sheriff's Office just released video of Wallenda performers falling during a high wire accident two years ago. 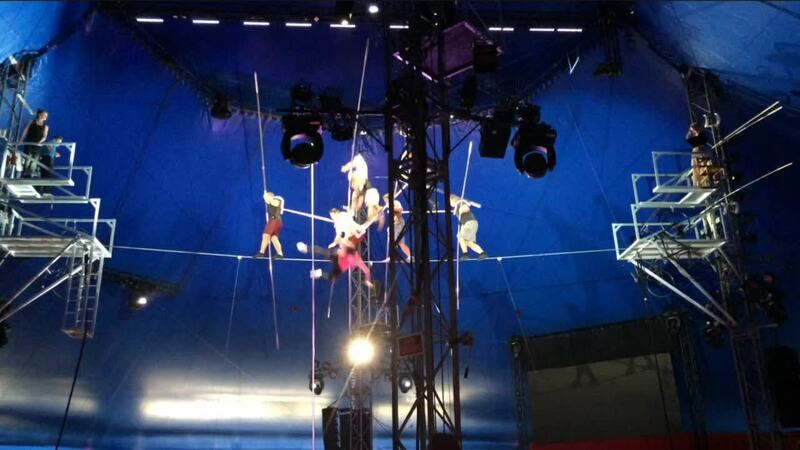 Five of them fell more than 20 feet to the ground, while three, including Wallenda, were able to hang on. The performers who fell had numerous broken bones, but were all expected to make a full recovery. Doctors said the performers are lucky to be alive considering how far they fell. WPTV and CNN Newsource contributed to this report.